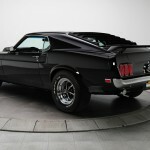 1969 Ford Mustang Pro Touring: Winner of the Prize for Best Ford! As you know, we don`t do commercials. Nevertheless, we made an exception for this beauty called 1969 Ford Mustang Pro Touring. This very Mustang was restored to the frame and then put back together with the addition of custom mad hood scoop, rear window louvers and an SCCA-style front spoiler. 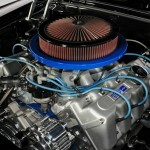 With an amazing 800 horsepower and 750 lb-ft torque produced by a 557 cubic inch V8 engine. His stylish movement and performance is guaranteed by the Ford 9-inch rear end, the TKO500 5- speed manual transmission and the Heidts suspension systems. Inside of the vehicle the touch of modern and classic Mustang combined with the black and silver centered console as well as the Sony sound system and Auto Meter Phantom gadgets is noticeable. 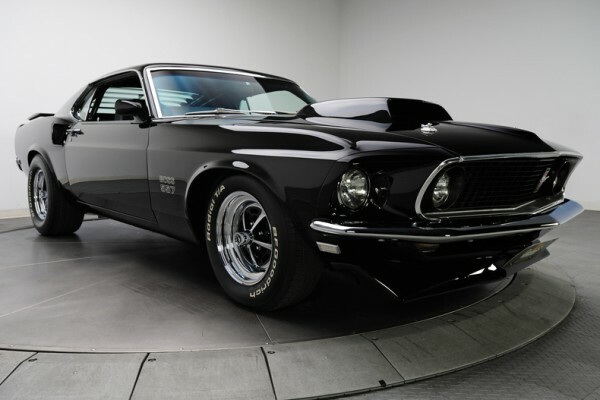 This 1969 Ford Mustang Pro Touring has passed only 300 miles since its restoration and already won the prize for best Ford. If you want to own such piece of art, you must cash out $ 159, 900, a fair price considering the effort put on its restoration. If you want to find out more about this vehicle, take a look at this video. Finally, check out some Ford Mustang Concepts!